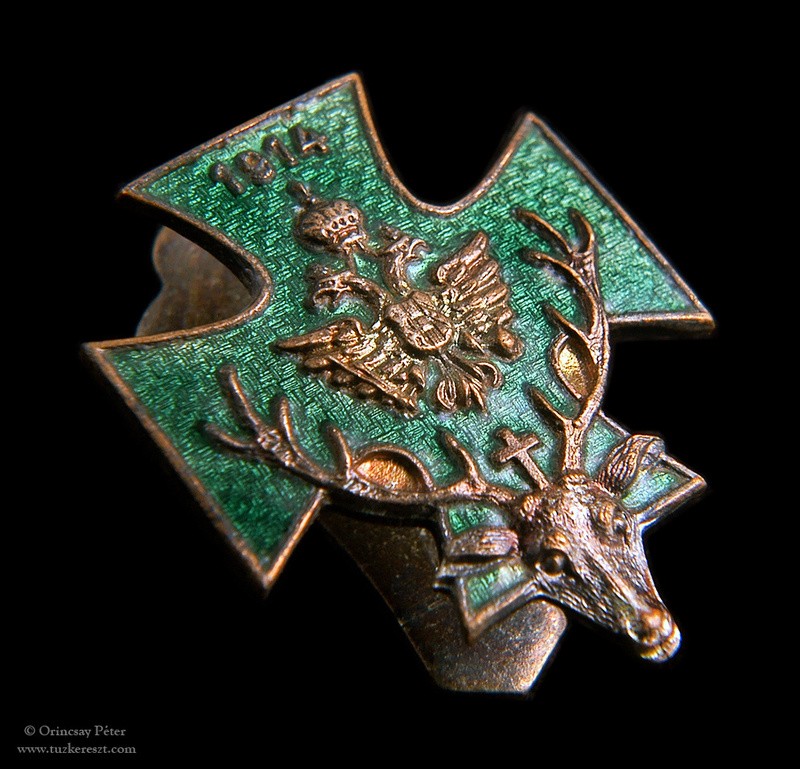 The buttonhole badge of the Austro-Hungarian St. Hubertus Kriegskreuz (Saint Hubertus War cross). 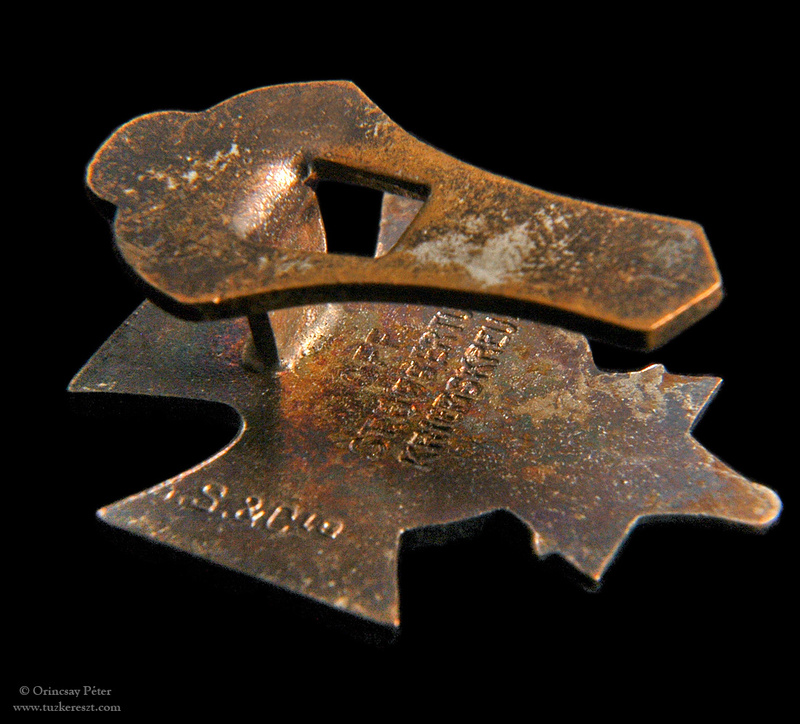 Reverse side of the badge. 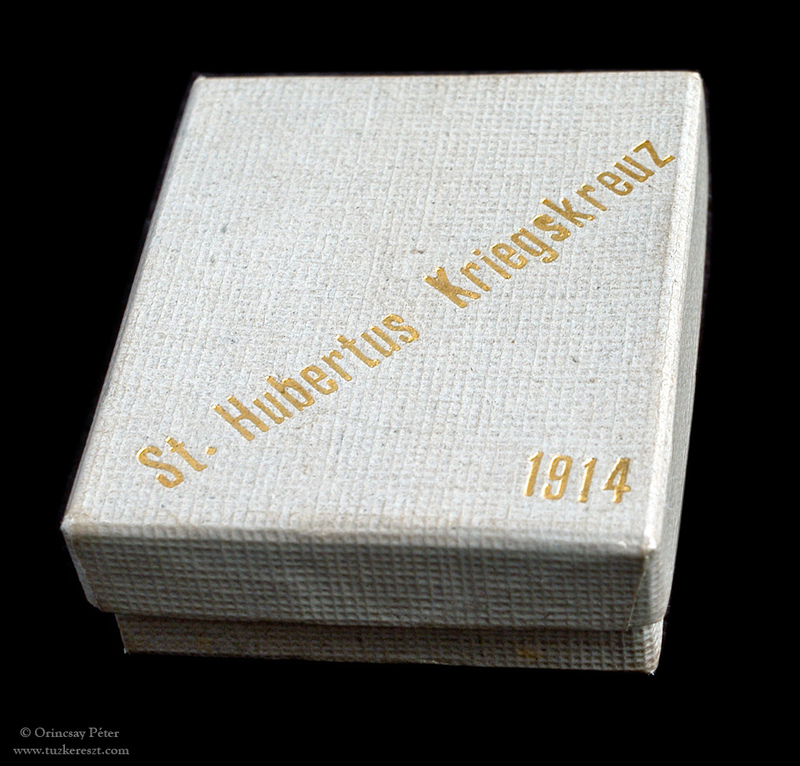 The original box of the buttonhole cross.